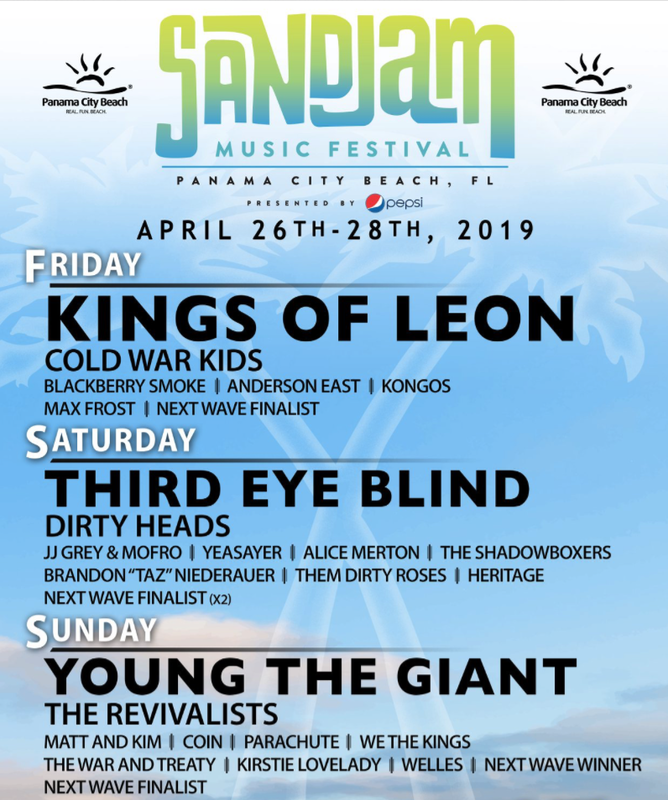 The second annual adult-alternative rock music festival will set their stages on the beautiful sugar white sands of Panama City Beach, providing the most beautiful backdrop for this spring&apos;s biggest festival. 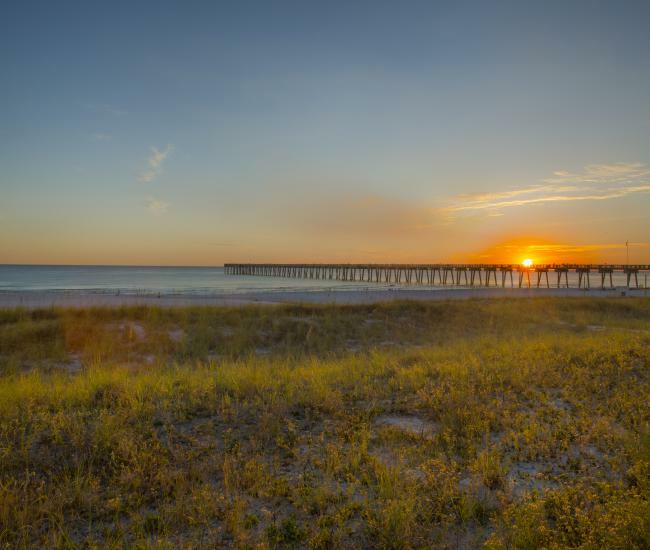 Come for the music, stay for the beaches and make long lasting memories at SandJam presented by Pepsi. This year&apos;s headliners are Kings of Leon, Third Eye Blind and Young the Giant, with accompanying acts including Cold War Kids, Dirty Heads, the Revivalist, Anderson East, Matt and Kim, Blackberry Smoke, We The Kings and more!